In the 2014 vintage, winemaker Becky George finally took the plunge into making her own wine. As a longtime Pinot lover and contributor in producing some of the great California Pinot Noirs from her time spent working with Marcassin and Williams Selyem, Becky just released her 2016 Mojave Anderson Valley Pinot Noir. I tasted this twice in the past few weeks and think this is one of the most exciting Pinot Noir projects coming out of Anderson Valley today. 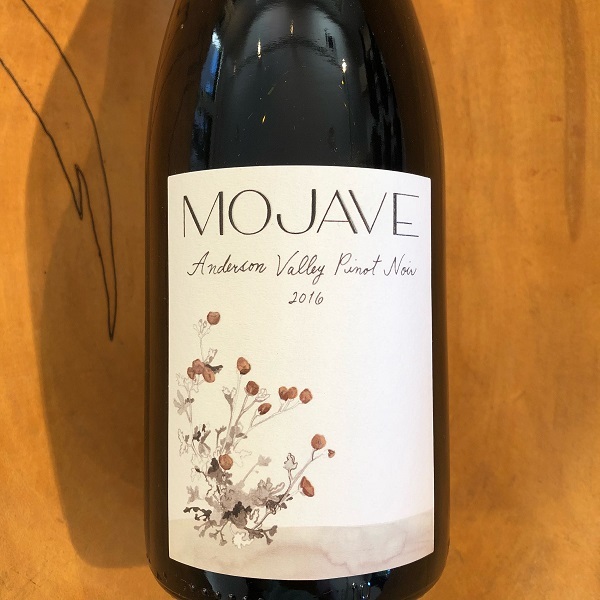 Both elegant and complex, the 2016 Mojave Pinot Noir is a 50/50 blend of Clones 667 and Pommard and comes from the famed Monument Tree Vineyard. It offers enticing notes of floral notes and dark red cherry, subtle vanilla and toasty barrel spice that lead directly onto the palate with a lingering finish. 110 cases were produced.